We are aware of this problem. In feedback sessions, we frequently learn that in the past, E-Learning initiatives in companies have been motivated by the desire to apply E-Learning as a new and innovative method. Often, existing content from conventional training courses was used. The learners themselves were rarely taken into consideration in the design process. As a result, in most cases, the content was not optimally processed – neither for the learners nor for the E-Learning method. In other words: In view of the above, the comment “E-Learning doesn’t work for us” hardly comes as a surprise. The good news: E-Learning does work. However, you need to know the strengths and weaknesses of the method and take an in-depth look at your learners’ requirements. In short: You need to make the learners the focal point of your E-Learning initiative. "You need to make the learners the focal point of your E-Learning initiative." What does placing your focus on the learner mean? and the supervisors of the members of your target group. Experienced employees deal with the topics covered on a daily basis and are therefore good judges of where the challenges lie, which content is of particular practical relevance, what mistakes are made and what consequences these mistakes have. This group is a good source of extremely credible anecdotes which will enrich your content. Employees who have recently undergone training have a fresh perspective on things and can therefore also provide valuable input. Even more so if they have gained some practical experience in the meantime. Ask them about their experience with the training courses and above all – in retrospect – where they can see room for improvement. supervisors is crucial to the success of E-Learning. It is certainly well worth investing some time to examine their expectations and wishes. Find out which competences should be improved in the view of the supervisors and how the content of the training course is linked to their objectives. Also ask them how employees can best take part in training courses with minimum disruption to the daily schedule. Once you have gained a clear picture of the requirements and expectations, you can design a suitable learning solution. Will it still be a selective course offering in the form of E-Learning? Perhaps. But you may discover that it is expedient to offer supplementary or further measures (a central platform, FAQs, videos, e-books, PDFs – the list can be expanded at will) in addition to E-Learning elements. You might also offer the content as Mobile Learning on various end devices in order to boost the additional benefit for your learners. by making the learner your focal point, you increase your chances of offering an effective learning solution that people will enjoy using. As persons responsible for training and further training, you should position yourself as an internal service provider and help the specialist departments to communicate the required content as effectively as possible. The specialist know-how and details of the actual training requirements can usually be found within the specialist departments themselves. Ask the internal experts plenty of questions to obtain the information you need, and don’t be afraid to question prescribed approaches. 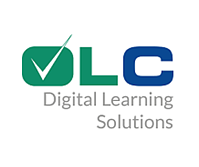 Incorporate the learners’ new requirements in the process via Mobile Learning. And just because E-Learning is the idea here, it is not necessarily the (only) solution. So, if you are planning an E-Learning course in the near future and you want one that really does “work,” apply our method. Need support with implementation? Get in touch with us!